William wrote Miracle Man because of its humanistic and spiritual messages and because he feels that in our current times–when meritless celebrity has eclipsed accomplishment and the only heroes are those based on comic books, the world needs a real hero–and that, of course, is Robert James Austin, the protagonist in Miracle Man. Robert James Austin, Bobby, was an infant found abandoned in a dumpster. Then at age 4 it is discovered that he is extremely intelligent and gets enrolled in a special government program with access to the best education. Unfortunately his intelligence is also wrought with nightmares and trances. He also has some mental issues that he constantly battles. As he grows, Bobby decides to cure illnesses instead of work in the military. The problem is the more cures he creates the more big pharmaceutical leaders don’t want his cure and plan on stopping him. This was an interesting story. It makes you wonder what it would be like to be so intelligent. Of course it would come with a price and that broke my heart watching Bobby struggle through relationships and with his own mental problems. I did really like how the pharmaceutical leaders wanted to stop his cures. It makes you wonder how much of that happens in today’s world. I admit that I had a little bit of a challenge to get into this story. There were some parts that felt a little rough but overall this was a good story. I will definitely be looking into other books by William Leibowitz. 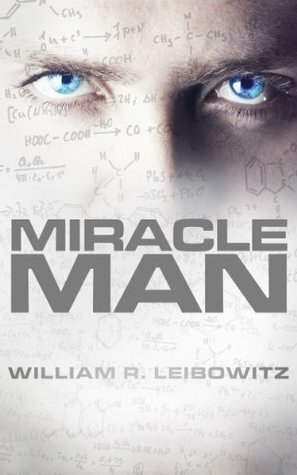 I received Miracle Man for free from Sage’s Blog Tours in exchange for an honest review.